My recent work has been a return to an intersection of dreaming, spirit and the creative impulse. This means sharing my inner meditations, which emerge during the exploration of dreams, moods, colors and forms as each image appears. I spend a long time with each printing plate. I use many layers, stopping and starting again while I listen to what each image calls for as it comes into being. These images are pieces of my many dreams. I share them out of some inner compulsion which all artists experience. 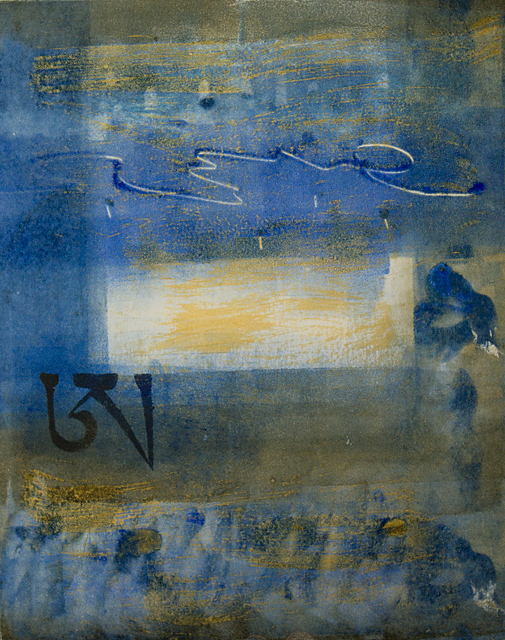 My primary medium of expression is currently monotypes. 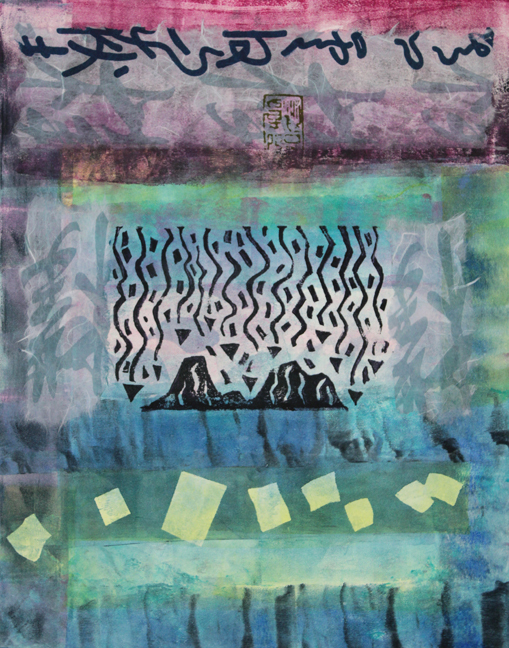 However, I am also constantly exploring with relief, Chine-collé and collage. I cut all of my own stencils by hand and all the forms are plucked either from some unknown source in my head or from nature’s kind inspiration. 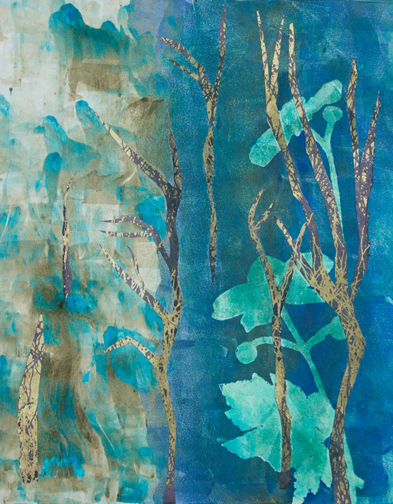 Kathleen Thoma has been a practicing artist since 1983 and a fine art printmaker since 2000. 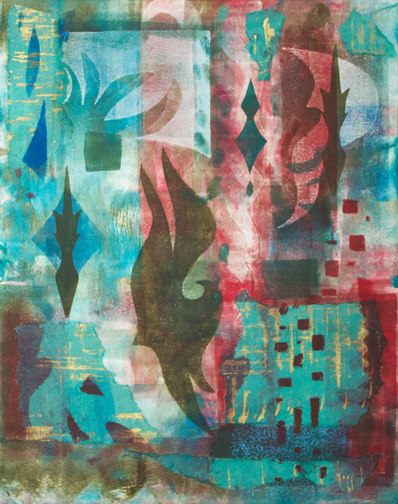 Working mostly with monotypes, she also uses Chine-colleé and relief printmaking techniques. From 2005-2013, she was a founding member of West Cove Studio and Gallery, an open, working printmaking co-operative in West Haven, CT. While at West Cove, she assisted with gallery promotion, printmaking demonstrations, gallery sitting and open studio events. She also taught expressive art classes in Montreal, New England to adults and children. Originally from the Washington DC area, Thoma relocated a number of times until her current location in CA. 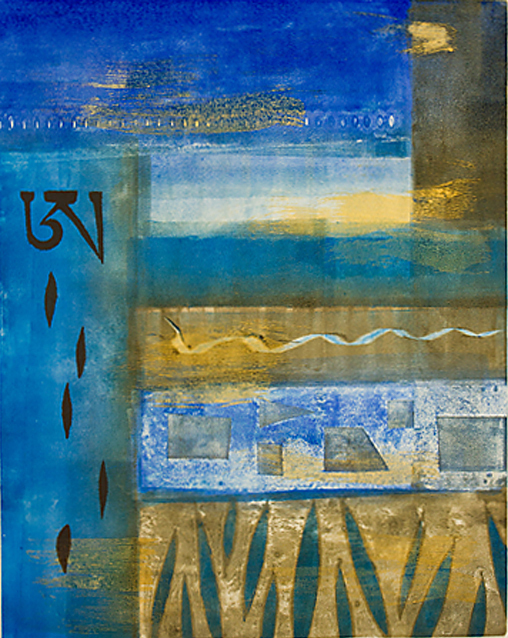 Her work is in private collections in the US and Canada.